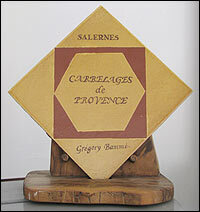 Carrelages de Provence company has a small-scale production and keeps a family "spirit". They also are passionately fond of their profession. Hand made and decorated products! 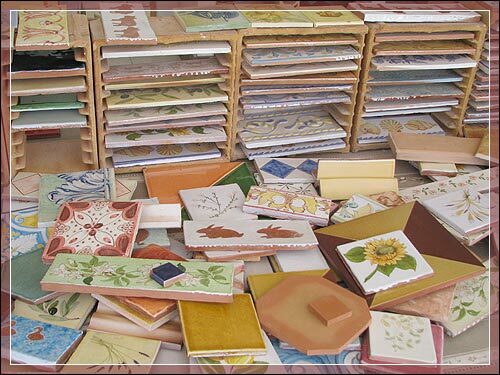 Carrelages de Provence is specialized in producing terracotta tiles natural or glazed, in sandstone and glazed lava, also ceramic decoration articles and personalized things for kitchens and bathrooms (decorated tiles, house name plates, work tops, sanitary installations, "tins provençaux", ornamental bowls, tiles, wall applications, draining boards, tap plates, clocks …). Come and visit our new show-room!! and on saturday from 9 AM to 12 and from 2 PM to 6 PM. In a time where the main word is productivity, our company offers an other choice. Our decision to stay in a small-scale production will give you complete satisfaction and an answer to all of your requests.